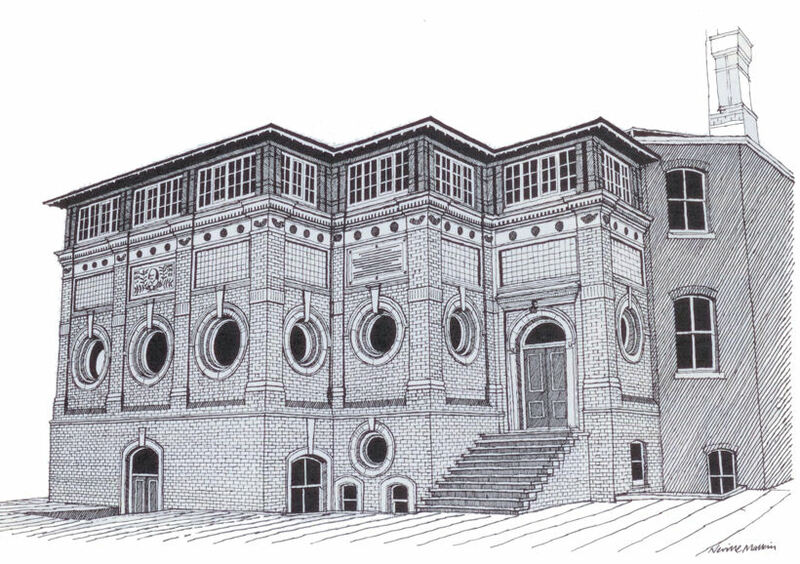 Description: Purpose built library in 1878 by Charles Lynam. 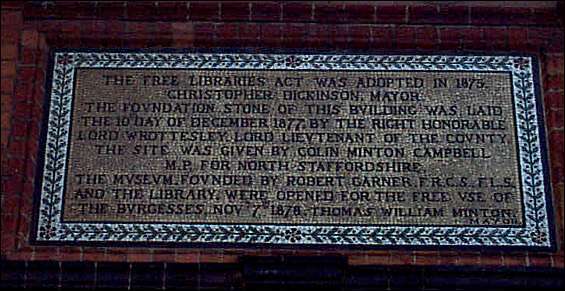 Site given by Colin Minton Campbell, costs subscribed by Thomas William Minton. 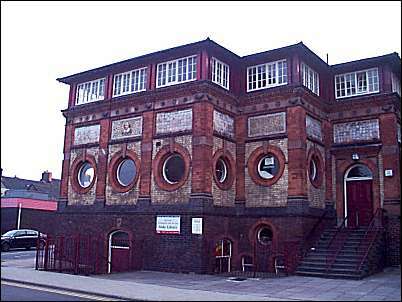 Library, purpose built as a library and Shakespeare Institute in 1878, by Charles Lynam. Brick with stone dressings, enriched with tiled panels and mosaics. 2-storeyed over a basement, 5 bays, stepped in plan. 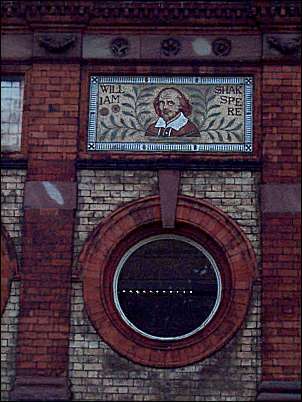 Red brick to basement, then white brick above, with rubbed red brick pilasters and architraves to windows in the advanced 3-bay section to the SW. 3 oculi, with tiled panels over, and mosaic depicting Shakespeare in the central panel. Stone band embellished with motifs, and continuous band of casement windows immediately below the overhanging eaves. Doorway in recessed bay to NE with terracotta entablature and mosaic panel over with the date and foundation details. Tiled panels continue round side elevations, and depict flowers in urns, now very faded. Gable end stacks.